Protesters put down placards and pick up pragmatism as they begin solving the problems created and/or neglected by the regime they oppose. April 1, 2014 (Tony Cartalucci - ATN) - Since late October, 2013, protesters across Thailand have taken to the streets, occupied rally sites, seized government buildings and made their grievances known to the world. They stand in opposition of the regime of Thaksin Shinawatra - a Wall Street-backed billionaire autocrat, convicted criminal, accused mass murderer, and fugitive who is openly running the country from abroad via his nepotist appointed proxy, his sister, Yingluck Shinawatra. Not entirely unlike other protests seen unfolding around the world, large mobilizations have periodically flooded the streets of Thailand's capital city of Bangkok, at times attracting over a million protesters. Image: One protest leader, Buddha Issara, traded in placards for pragmatism, purchasing a rice mill and operating it at his rally site in northern Bangkok. The mill is processing rice from destitute, desperate farmers and creating an ad hoc farm-to-city market to put cash from consumers directly into the hands of farmers as opposed to the corrupt middlemen and regime warehouses overflowing with unsold, rancid rice. If Thailand's political future is decided by actions rather than words, anti-regime protesters like Buddha Issara and his followers are well on their way to victory. Others would be wise to follow his sage example not just in Thailand, but around the world. Find more images via ASTV's Manager.co.th. However, unlike many protests, particularly those promoted heavily by the Western media, including the so-called "Arab Spring" and the recent "Euromaidan" protests in Ukraine later found out to have been led by Neo-Nazis and ultra-nationalist parties with Hitleresque names like the "Fatherland Party," hollow slogans such as "democracy" and "freedom" in Thailand are overshadowed by more specific, better articulated, and enumerated demands. Also unlike many protests promoted by the West where regime change in favor of a pro-Western client is the one and only true objective, protesters in Thailand have begun turning their placards in for pragmatism to solve the problems that have brought them out into the streets to begin with. Rather than empower others to speak and act on their behalf, they have elected instead to circumvent the dysfunctional electoral process and empower themselves through a series of direct action campaigns. What To Do While the Regime Clings to Power? While much progress has been made regarding many of the protesters' demands - the fact still remains that Thaksin Shianwatra through his proxy regime is still clinging to power. The collapse of the regime is inevitable, but for Thaksin and his foreign backers - completely removed from any risk of continuing on in vain - they believe there is nothing to lose in search of even the faintest chance of political survival. As long as the regime clings to power, the effects of its corruption, incompetence, and criminality will continue to reverberate across Thai society. Most acutely felt is the damage it has exacted across Thailand's agricultural industry upon which much of Thailand's work force depends. Mobilizing the resources of the state to solve this problem is not only untenable because the regime continues to hover above the levers of power, but also because more handouts - which created the problem in the first place - will ultimately not solve the plight of Thailand's farmers, only compound them. The real solution to this problem is to undermine entirely the edifice on which the regime is clinging. Instead of prying its claws from the ledge, the entire edifice should be separated from the cliff's face and sent tumbling down into the ravine below, regime and all. This requires the parallel creation of a new model for Thai agriculture - side-by-side with the dysfunctional ruins left behind by the regime. The successful creation of a parallel agricultural system could serve as a model for solving other social problems, and the first tentative steps toward accomplishing this have already been taken by Thailand's innovative and resourceful protesters. The plight of Thailand's farmers began in 2011 with the fantastical vote-buying promise of over-market prices per ton for rice delivered to government warehouses. Almost immediately, Thailand's traditional trade partners avoided the overpriced grain and turned toward neighboring Asian nations. As rice sat in government warehouses long past what industry standards allow for, fumigation, fungus, and rot rendered the rice unfit for human consumption. By the summer of 2013, promised subsidy prices were first slashed before payments to farmers were altogether halted. Many farmers have now gone without compensation for rice they have already turned in, and that has long since turned rancid, for well over half a year. Compounding the farmers' dilemma was the cancellation of the subsidy program in conjunction with intentionally delayed delivery of irrigation water for farmers to begin planting their next crop. The regime feared another deluge of rice deliveries on top of the overflowing warehouses they already have failed to sell - the delay of irrigation water was a means of buying more time at the farmers' expense. Even as farmers now begin receiving water Thailand's rice industry lies in such ruins, few know to whom they will be able to sell their rice and at what price. For a segment of the population already struggling against the constant fear of insurmountable debt and lacking any means to diversify their economic activity, they are facing destitution and desperation unlike anything they have seen in decades. Image: Buddha Issara prepares rice milled at his rally site for sale. Enter Buddhist monk and activist Luang Pu Buddha Issara, who has led the permanent occupation of northern Bangkok's Government Complex for months. Between leading protesters and coordinating with the larger anti-regime movement, Buddha Issara has also done something novel, innovative, and rare - added pragmatism to the sea of placards found among his followers. Money raised by the various fundraising activities has gone into the purchase of a modest rice mill. The mill processes about 1 ton of rice per day, brought in by desperate farmers unable to receive compensation from the regime. The milled rice is then sealed in bags and sold to Bangkok's city goers. The proceeds are given back to the farmers. Buddha Issara has also asked farmers to bring other forms of produce - fruits and vegetables - to the protest site to likewise be sold. It is the first steps toward a farm-to-city market, short-circuiting the corrupt middlemen and rancid warehouses that constitute the failed rice scheme the regime has created. Buddha Issara's "protest market" is putting cash from consumers directly into the hands of farmers. 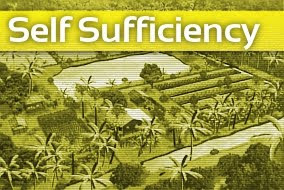 With the success of his market, Buddha Issara is planning on purchasing additional mills and expanding his operation. Other protest sites, including the mass encampment at Bangkok's central Lumpini Park may serve their cause well by also adopting this model. 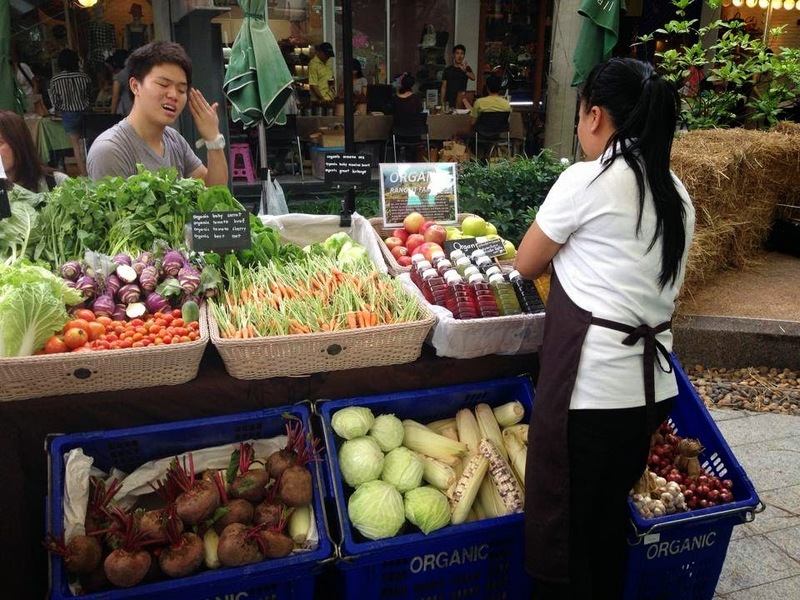 Additionally, apolitical social enterprises like the Bangkok Farmers' Market (Facebook page here) could also augment its progressive pro-farmer/consumer paradigm by integrating milling and distribution into both a business model and as part of their educational activities - showing and perhaps even teaching city-goers the process of milling and packing as well as expanding the network of "middleman-less" distribution. The potential for Buddha Issara's pragmatic activism to move past politics and immediately begin helping people is owed to the fact that regardless of one's political affiliations, the merits of his actions are apparent. While political slogans and agendas can endlessly be debated, tangible pragmatism that puts cash into people's hands by leveraging technology can't. Ultimately the battle for Thailand's future will be won by actions not slogans or political promises. While the regime's supporters are caught almost weekly with weapons and amid deadly attacks on protesters, the protesters are carrying out direct action that is relieving the plight of those victimized and abandoned by the regime. For now, and by a clear lead, the resourceful protesters are winning. Should Buddha Issara's fellow protesters learn from his example, and expand his innovative means of direct action, they will continue to win. Follow AltThaiNews on Facebook & Twitter @AltThaiNews.